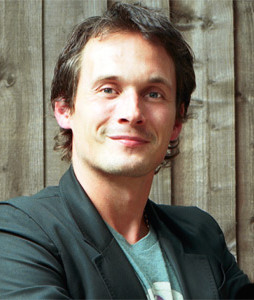 In 1999, after graduating from Cambridge University and working in advertising for four years, Richard Reed and two Cambridge friends founded Innocent Drinks. More than ten years later, Innocent is the number one smoothie brand in the UK with a market share of around two-thirds. The company employs almost 300 people and each week sells more than two million drinks in over 11,000 outlets in the UK and Europe. In 2009 Coca-Cola bought an 18% stake in the business for £30 million. In April 2010 Coca-Cola increased its stake to 58% for a further £65 million. Richard has a very personal management philosophy. He believes that with a non-corporate attitude, a sincere commitment to the cause and plenty of creative thinking it is possible to create a fast-growing, profitable company that acts responsibly. The company aims to donate 10% of its profits to charity. The funds mainly go to overseas projects, in the countries where Innocent sources its fruit. "Richard Reed has created one of Britain’s most recognisable brands. He is an entertaining speaker, using his creativity and experience to inspire audiences."